When I first picked up the guitar, I had no intention of learning how to play one. After all there was already a huge chunk of humanity that was already doing it in a much more advanced manner, or so it seemed. Yet, boredom has no bounds and so, here I was learning an instrument at the age of 14, one riff at a time. It was somewhere at this point that I developed a strong attraction towards the Heavy Metal genre, mainly perhaps due to its use of technical instrumentation and dark themes in general. Over the years I became a part of various local projects, most of which never saw the light of day, while some others which faded over time. The thought of not being able to maintain a consistent “band” did not strike me down so much as most bands within this genre don’t last that long to begin with. Over the years I evolved my devotion towards music production and video editing, helping friends in parallel projects with their releases and recordings. University life, as we know it, takes most opportunities of pursuing such extra-curricular away with it, or at least makes it increasingly difficult to do so. Luckily for me, I managed to find people sharing similar interests and talents within my own hostel. Starting as a three-piece project, I was able to construct an instrumental oriented project right there and over time we realized that we had to test our production techniques yet again. There was no point in establishing ourselves as yet another cover band, and the prospect of creating original music remained our top priority. 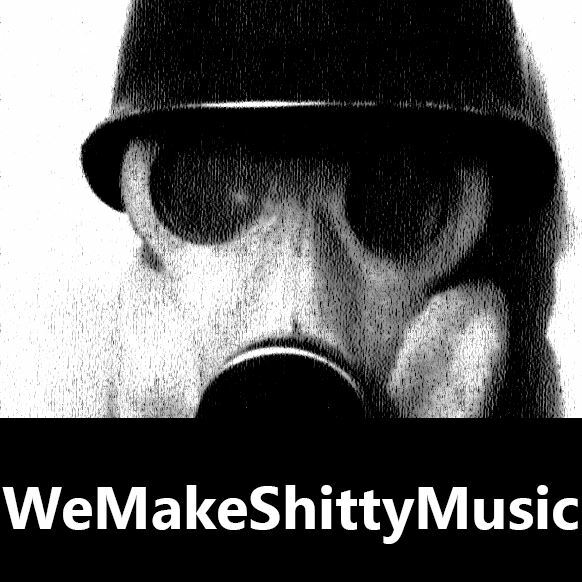 We did however lack a certain orientation of what we wanted to achieve in terms of band direction and so, we gave birth to the “WeMakeShittyMusic” project; a music platform which allowed us to work on instrumentation and production techniques without having to worry about lyrical contents or long term ideologies. The project allowed me to expand my own horizons by allowing me to experience techniques and genres that I would probably not have chosen to experiment with otherwise. It also allowed us to merge as a functional unit that learnt to collaborate with each other musically, hence allowing us to keep future prospects of pursuing a more lyrically driven project in the future open. Now may not be the right time for that, but over time we will have gained enough experience at not only a instrumental, but also at a production level. It’s just how they say, “there’s no wine before it’s time”. My earliest memories are not those of the happiness of getting a doll, or being gifted your favorite action figure, but they are of the excitement I felt when I first touched my grandfathers grand white piano. Instantly my mind was elated at the melodic sound I could make through the keys. In a matter of days I knew of all the different notes I could strike with this wondrous instrument and just a little while later I could play any song my mind took like to. I guess there are some things in life that you are just meant to love and for me it was always music. 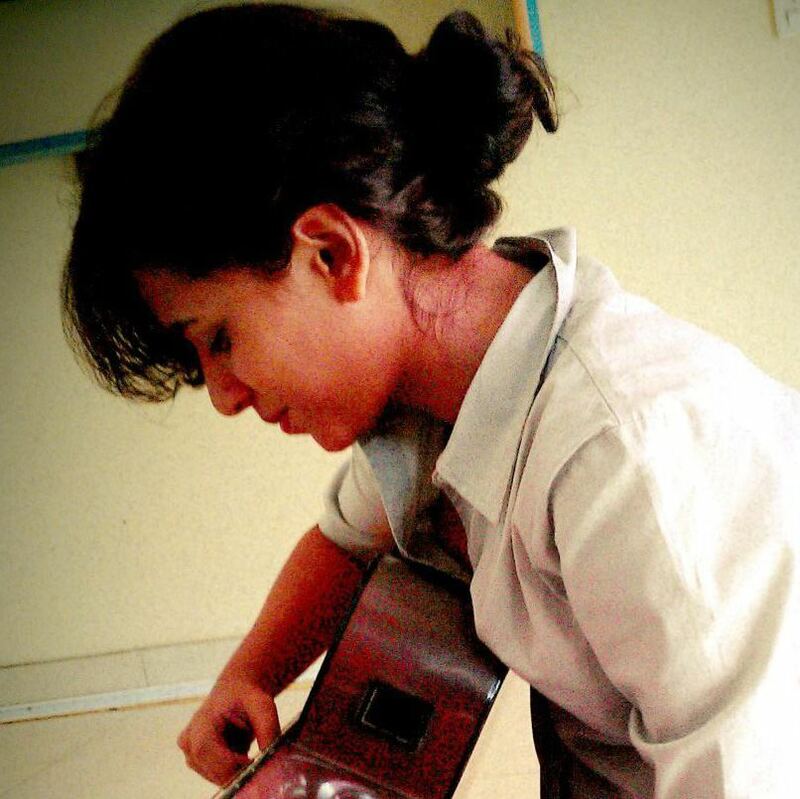 Be it old Indian, classic, western or contemporary I was always transfixed by music thus I was gifted my first guitar at the age of eleven and soon I was learning the instrument from beginning till end. Singing just came to me naturally, maybe it was that I had a “singing” gene considering my father, aunts, grandmother all had gifted voices. I was always a part of the school choir I guess that took out most of the fright one feels when they are on a stage for as far back as I remember I always wanted my voice to be heard. While in-between came times, when I felt shy, or under confident I kept opting for competitions and concerts and kept bringing myself out there. What this resulted in was that I lost most of the jitters I felt in the earlier years of performing on stage and in a way kept getting better at what I do. My love for music is not something I can explain in words, or even through what I play as I have not reached a level where I can even consider myself a musician, I cannot explain my thoughts when I hear an exceptionally well written piece of music, or hard hitting lyrics, or a beautiful composition; but I know that my love for music will keep taking me forward and make me into something one day. When we say music, most of the people think at the great musicians from the western world. But what about the eastern music? What about the Indian Music or the Pakistani music? I have noticed that only few people know some general information on Pakistani music, which consists of diverse elements ranging from music from various parts of South Asia as well as Central Asian,Persian, Turkish, Arabic and modern day Western popular music influences. 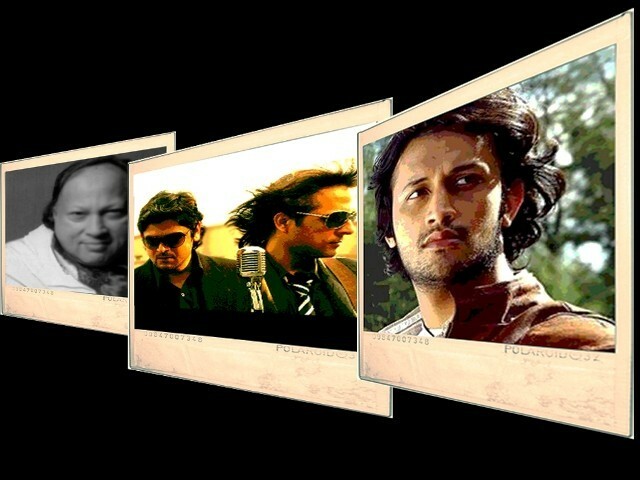 With these multiple influences, a distinctive Pakistani sound has been formed. Pakistani music consists of several forms of genres such as gazaals and qawallis with blended form of modern genres such as rock and hip hop. 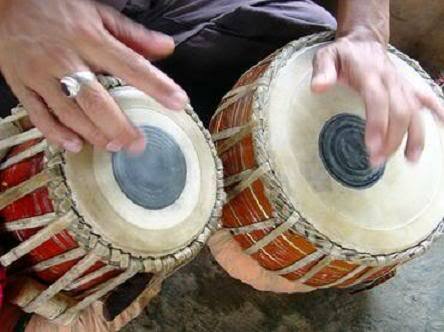 Using of traditional instruments such as table, dholak, harmonium and rubab are still popular enough with consistent use of modern instruments such as guitars, pianos and drums. Pakistani folks are famous for composing songs in several languages such as Sindhi, Punjabi, Balochi, Saraiki, Potohari, Persian, Pashto and Urdu. The music industry of Pakistan seems to move on and flourish in spite of the fact that there is mayhem and terror, day in and day out in Pakistan. Some of Pakistani artist have left their mark on the Earth in bold letters such as Nusrat Fateh Ali Khan and Noor-Jahan. 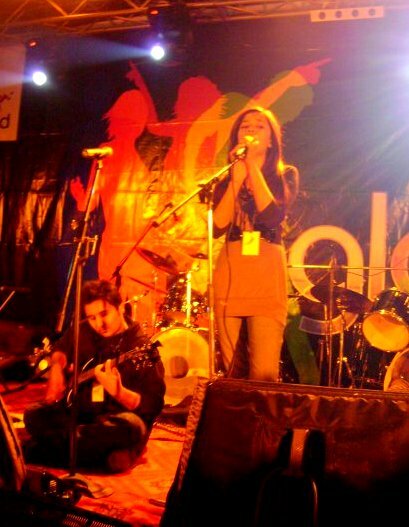 Every week the stories about the death toll in Pakistan storm the international and the national headlines, but the gutsy, battered and bruised Pakistani musicians seem to blindfold themselves and move on with their job of producing harmonious music that inflames the hope among the people and keeps the spirit to live alive and well fostered. 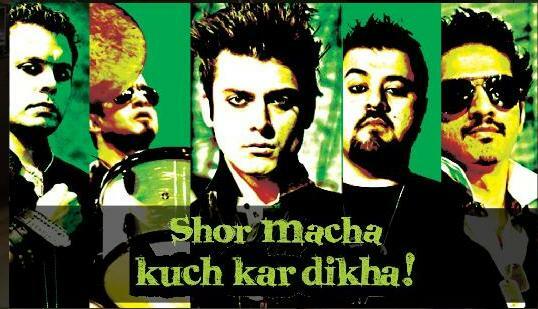 Pakistani musicians have always tried to trigger and arouse the sleeping spirit in the people and songs like Shor Macha have given the much needed boost to stand up for oneself. Some time back Atif Aslam sang a song “Hath Uthao” for the flood victims and “Ab Khud Kuch Karna Pade Ga” in collaboration with Strings and most recently Hadiqa Kiani, underwent a hair cut for some cancer patients. These acts have clearly exemplified the fact to a large extent that Pakistani musicians want to move forward and help in building towards a classic Pakistani society that will hopefully be full of richness, colour, beauty and plenty of other optimistic expressions.